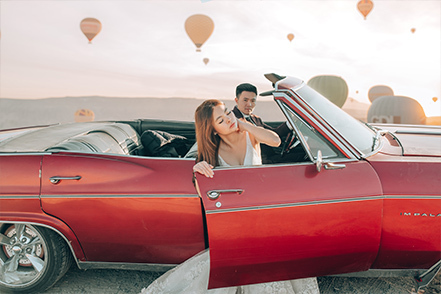 Makeup & hairstyling done at your hotel at your convienence. 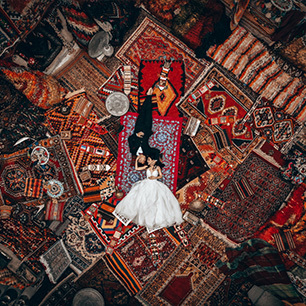 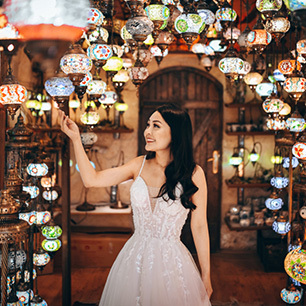 Amazing drone shots at an open air Turkish carpet shop. 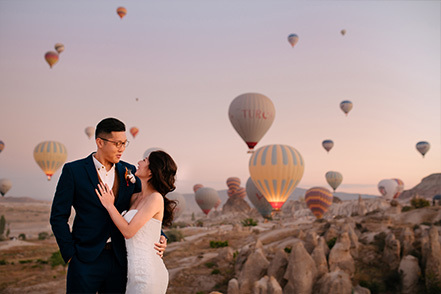 With 100 uniquely-designed hot air balloons flying in the sky, everyday is like a mini Balloon Fiesta. 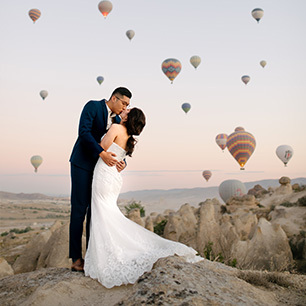 What a time to be alive to be able to witness the sky that pops with colours. 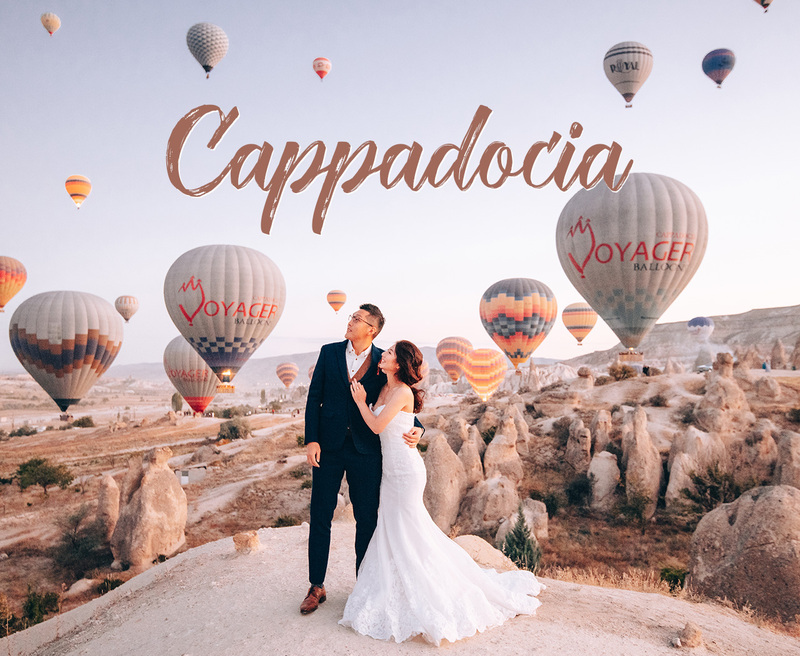 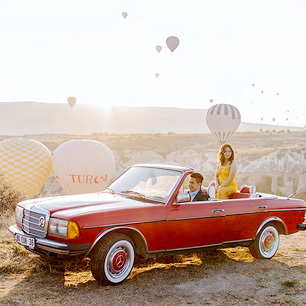 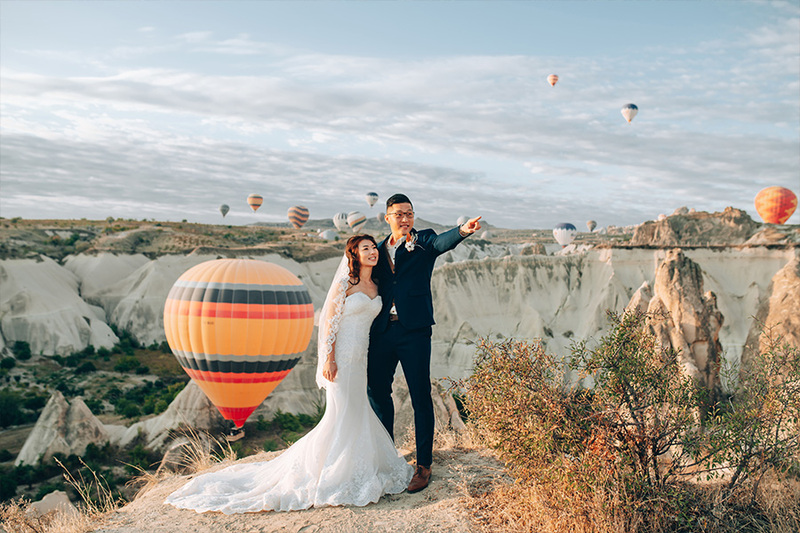 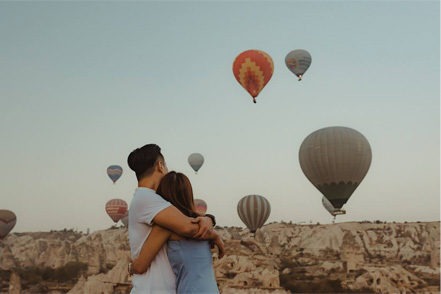 Hop onto a balloon flight and soar through the Cappadocia sky- we guarantee it’ll be an incredible experience as you behold the ethereal landscape of Turkey. 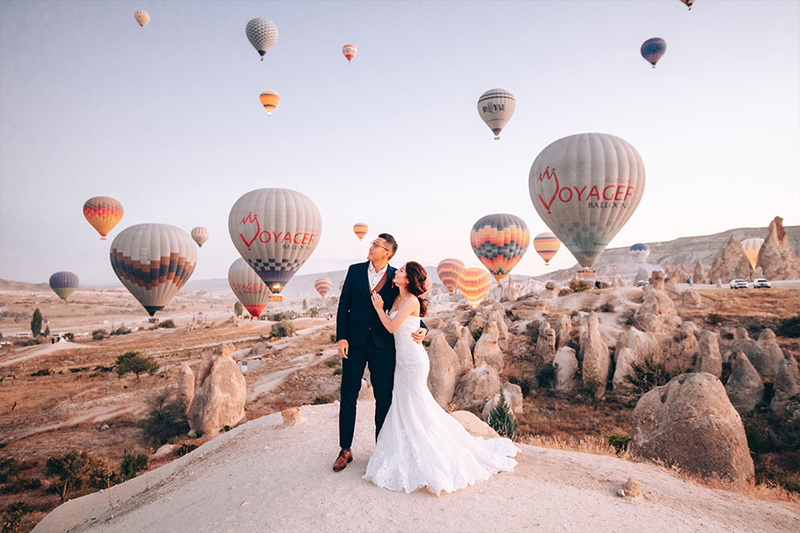 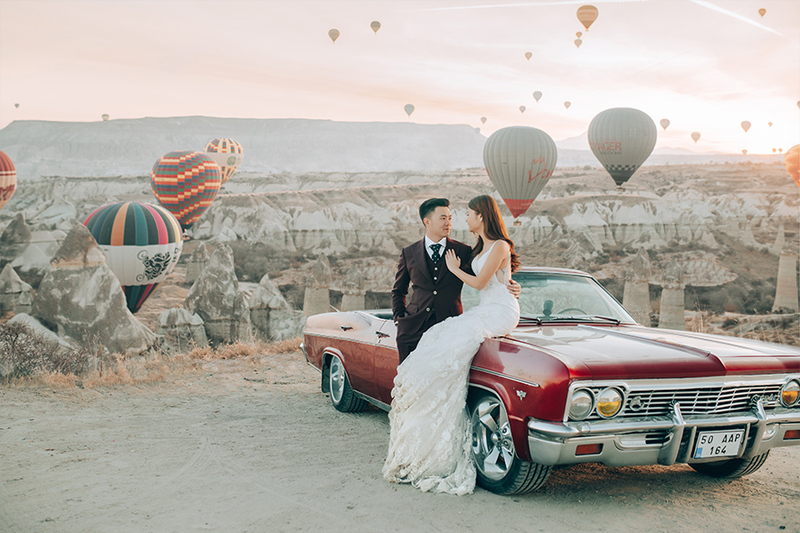 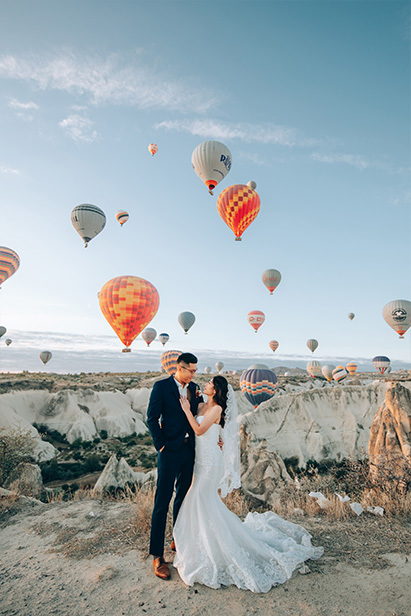 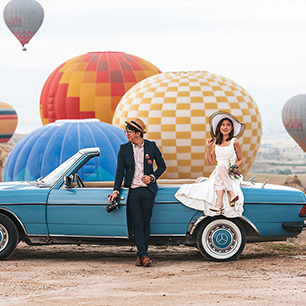 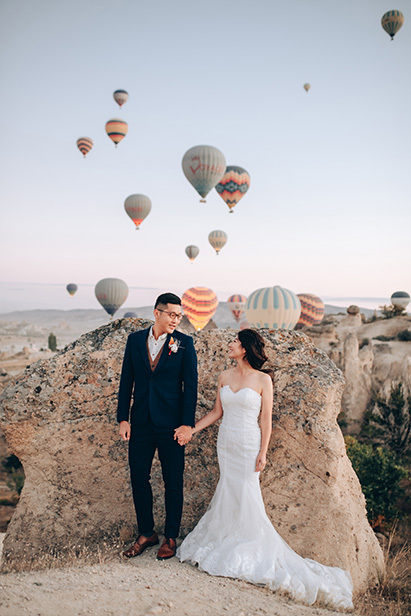 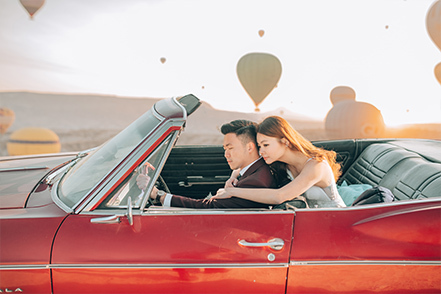 Cappadocia is known for its whimsical landscape and balloon-filled sky. 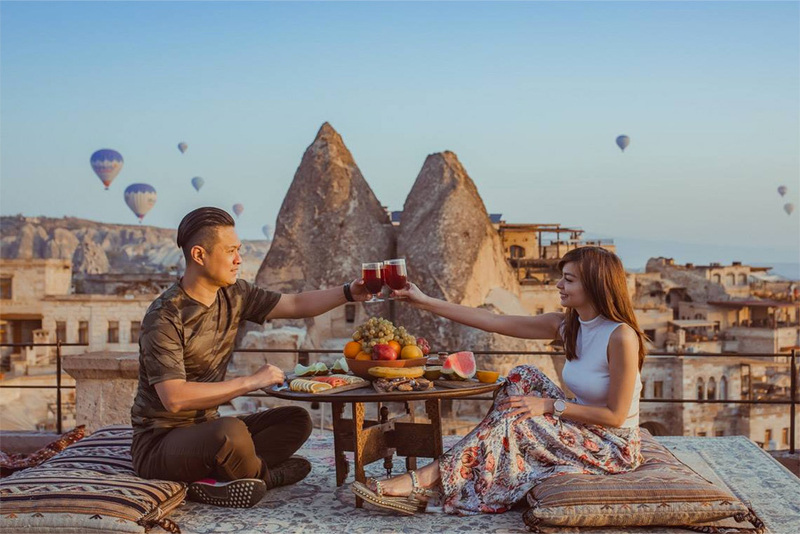 Experience this breathetaking town with your loved one and enjoy the incredible views over the picturesque valleys and rock formations.